Unlike my Atlas Peak Mountain winery, I survived the Napa fires and I continue to farm my volcanic high elevation mountain vineyard. For those in Napa affected by the October 2017 fires there continues to be a very long road ahead for recovery. The Napa fires ignited a life-changing and forever memorable event for all of us in the wine industry. Like many other viticulturists we had just finished our late-season harvest and were focused on fermenting and crafting our 2017 wines when the fires hit. That following morning, a reddish orange sun squinted through the smoke-filled skies as the fire raged on. For our Atlas Peak Mountain Winery, the raging firestorm fuelled by howling winds claimed our winery, wines ageing in barrels, winery equipment, guest house and all out-buildings—a total loss, but, our Cabernet Sauvignon and Merlot vineyards emerged unscathed. The fire came up to the very edge of the vineyard and stopped. The vineyards, which are void of chemical fertilizers, hold moisture, acted as a natural firebreak and were an absolute godsend. Though we lost much, we are truly grateful to the heroic efforts of firefighters and first responders from all over the country who helped protect our lives, homes, wineries, vineyards and businesses. I was completely amazed seeing the stark contrast between our scorched winery remnants and the very much alive, green vineyards that remained untouched once the smoke cleared. I’m absolutely convinced that the vineyards slowed the fire and saved lives. Even following the fire’s devastation, Napa remains a truly beautiful and magical place, peopled by a very supportive community. While we have been through a heartbreaking event and witnessed so much loss, the outpouring of support from everyone has been amazing. Napa’s Atlas Peak is well known around the world for its exceptional mountain wines – now Napa’s hottestwine region, so to speak. These mountain vineyards survived the fire and remain home to generations of winemakers whose passion to craft the world’s truly exquisite wines remains our sole pursuit. Signs of rebirth amid the devastation can be seen everywhere. Apart from its volcanic high-elevation terroir and ultra-high-quality grapes that lend these boutique vineyards their magic and mystique, the mountain provides us with much needed promise and hope to the daunting re-building process. Wine is born of passion, evolving over time, offering a truly beautiful thing that speaks to us through heightened sensory emotions that can sometimes reflect wonderful universal mysteries in a surprising fashion, evoking one of life’s many unforgettable pleasures. Fine wine is powerful. It touches you, inspires you, creates some of the most important memories in life and has the ability to move us, emotionally and physically. I’ve always wanted to better understand the origins of that wonderful, warm feeling that overtakes me when I sip a glass of an exceptionally crafted red wine. Sure, the alcohol has a mind-altering euphoric affect. Wine is certainly one of the most universally enjoyed substances in history, dating back to the dawn of civilization. I have come to the realization that wine is truly a living thing, actually a microbiological organism, and there is convincing evidence that natural, wild indigenous yeast species serves as the very heart of fine wine. “Red wine has been demonstrated to have a beneficial effect on preventing heart disease. The mechanism of this benefit isn’t known yet, but we have been drinking wine for many centuries and, in addition to the joy it provides, scientists are working with vintners to better understand its health effects,” said Dr. David Agus, professor of Medicine & Engineering, University of Southern California. He is also an author of several books, including The End of Illness, A Short Guide to a Long Life” and The Lucky Years: How to Thrive in the Brave New World of Health. Wild yeast is exactly what the name implies; it is the naturally existing yeast blowing and circulating in the vineyard's air much as pollen does. The yeasts in vineyards seem to flow from wind-ruffled trees, transported by bees, and insects that surround the vineyard. Wild yeast attaches to surfaces of the grape skin and, as it hangs onto the skins, it faithfully represents its surroundings, the air, sunshine, temperature, bees, vines and many other elements. It’s a complex organism that fuels and drives many processes in the crafting of wine and certainly influences the final, finished product. Napa's volcanic Atlas Peak ridges, sitting between 1,200 and 2,200 feet in elevation, is the result of tectonic processes that formed the magic of its basaltic terroir, and a perfect setting for wild yeast. This high elevation moderates temperature extremes, allows for a longer growing season than the valley floor with an abundance of pure unadulterated clean air creating one of the finest locations for growing organic grapes in the world. This area is renowned for its superior Cabernet Sauvignon grapes swarming with a variety of native wild yeasts from the Saccharomyces cerevisiae (S. cerevisiae), Candida, Pichia and sometimes Hansenula genera to drive the initial fermentation energy. Though a varied number of yeast strains help to get the fermentation process moving, S. cerevisiae is the dominant strain that does the heavy lifting in virtually all wine fermentations. Fermentation is a complex biochemical reaction in which yeast consumes sugar in the grape juice (must) and releases alcohol and carbon dioxide. It determines the future quality of wine and occurs shortly after harvest. Fermentation can take anywhere from four to eight days for red Bordeaux-style wines, and as long as several months for Burgundian-styled white wines. We have the Frenchman Louis Pasteur to thank for discovering yeast’s role in the microbiological fermentation process (August 1857). “He showed us that fermentation was due to life, thereby confirming an instinctive and almost universal belief that wine was not a mere chemical concoction, but a mysterious living organism, divinely appointed as the symbol of life,” states renowned Biochemist Dr. Sondra Barrett. Today we continue to research, explore and learn from Pasteur’s many wonderful discoveries. Dr. Barrett is also a medical scientist who researched, with a microscope, the development and maturation of normal human white blood cells to improve diagnosis and follow-up of leukemias (cancer of white blood cells). 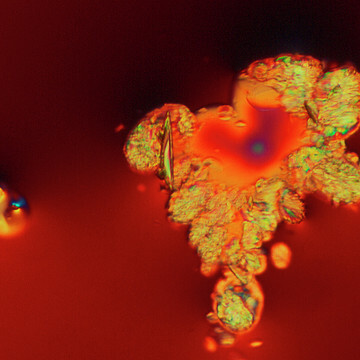 Seeing a surprisingly beautiful exhibit of chemicals of the brain, she began photographing through the microscope vitamins, minerals, hormones, flowers, herbs, and finally got to wine, finding that beautiful stuff of life was part of each of them. It was when she was artist-in-residence for Sterling Vineyards in 1984 that she got bitten by the wine bug. Working independently and with Napa Valley winemakers, she uncovered visual evidence that wine evolves. Through the microscope, wine’s must reveals tiny simple geometric forms and as wine ages, those forms become larger and more complex. 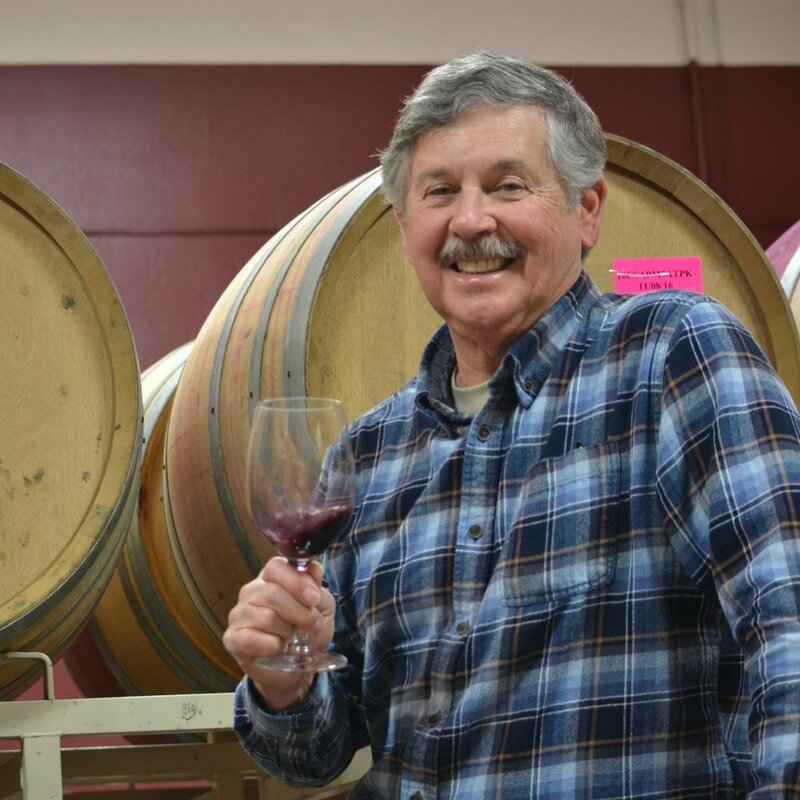 Renowned Napa enologist, Derek Irwin states: "The reason why I am a big fan of starting off with indigenous wild yeast is that wines should reflect the natural taste and characteristics of the place where the grapes are grown. They respond to their natural stimulus from their terroir and as such need to breathe, evolve and transform the grape’s sugars gracefully into fine wines as they surrender their lives as a matter of organic chemistry versus commercially augmented programming. I find that wines that have had an indigenous wild start tend to have more complexity, flavors, texture and elegance to them." Adding to the benefits of indigenous yeast, the addition of rhythmic music introduced during the yeast’s gestation period interacts with the microorganisms and enlightens their magical elements, truly bringing them to life. 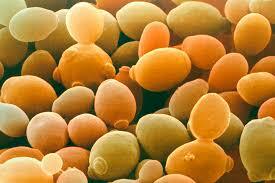 I believe that this increased yeast activity translates into fuller-bodied wines with a deeper complexity of flavors. When I drink the wine, I can sense and taste the effects of playing Chopin, Borodin, Gershwin's "Rhapsody in Blue", Ravel’s "Bolero" and even Barry White’s "Can’t Get Enough of Your Love" on the wine’s development. The systematic arrangement of these rhythms stimulate perfection of elegant construction, exquisite detail and harmony which propels the yeasts’ passion for their tasks, converting sugar into alcohol. Serenading the yeast’s activities encourages far better single-cell conversion involvement in our fermentation tanks. The rhythmic vibration and harmonious sounds seem to maintain a much more constant fermentation temperature allowing our wines to truly ‘open up’ with a depth of flavor, aromas and complexity that you really savor because the experience of the whole is more than the sum of its parts. 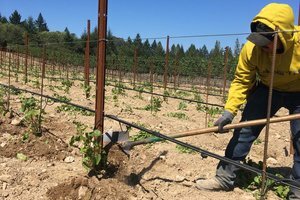 Igor Sill precision farms a sustainable eco-friendly volcanic mountain vineyard on Napa’s Atlas Peak Mountain, Sill Family Vineyards. He’s a passionate wine lover, winemaker, and writer. 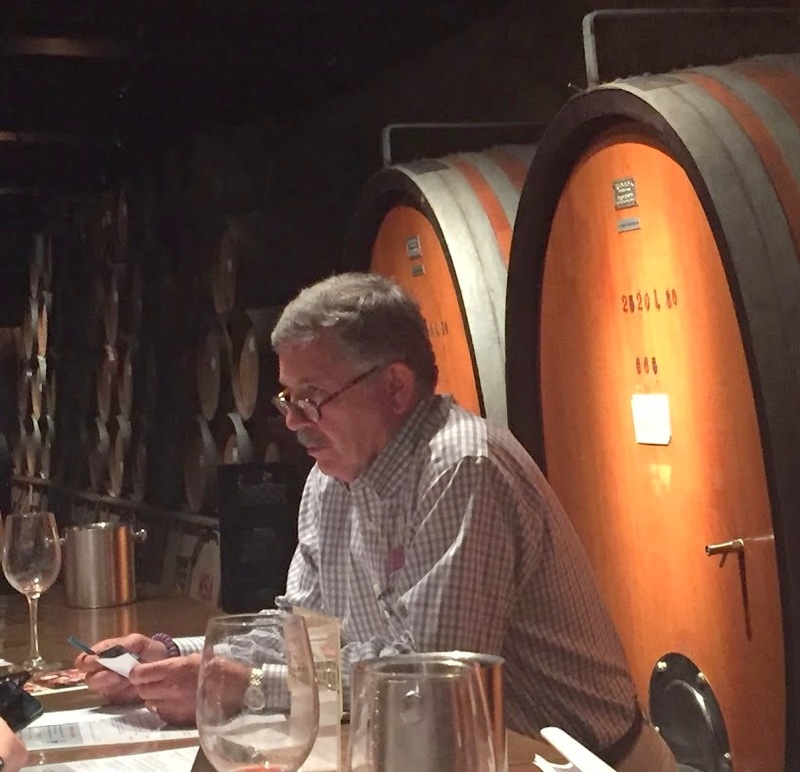 He is a member of the Court of Master Sommeliers, the Napa Valley Wine Technical Group, a judge for the International Wine Challenge in London, holds his master's from Oxford University and attended UC Davis' winemaking program. He thanks Dr. David Agus, Dr. Sondra Barrett, and Derek Irwin for their much appreciated assistance, insights and contributions to this article. Only three percent of the wine grapes grown in California are grown at altitudes above 1,000 feet in elevation with some of the most uniquely fascinating wines sharing a common characteristic, volcanic rocky soils. 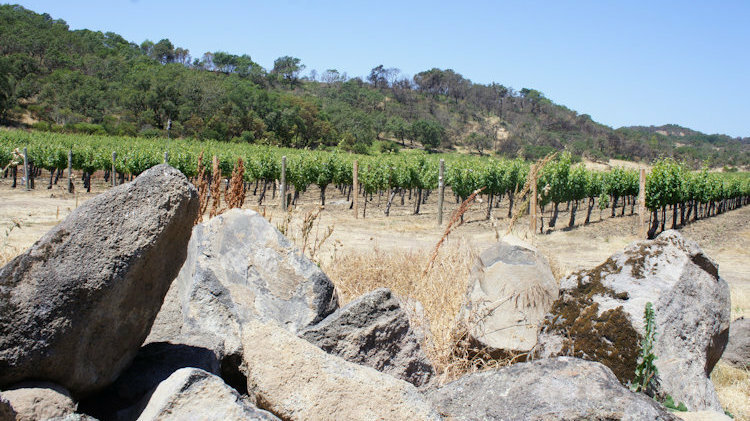 About 30 million years ago, massive volcanic eruptions covered the entire Northern California region, but, over the course of thousands of years, only select parts of Napa’s vineyard growing areas contain these volcanic soils. Their soil composition is a direct result of volcanic eruptions, which determines how much igneous, lava gravel rock the soil contains. There’s clearly a discernible difference to the grapes grown high in Napa’s volcanic mountain terroir. Eminent and highly influential Canadian Master Sommelier, wine critic and one of the world's foremost authorities on the subject of Volcanic wines, John Szabo, says of Napa’s volcanic mountain wines: “Genuine mountain wines are born from stony, low-fertility, free-draining hillsides. They’re denser, darker, quite often more tannic, yet more evenly ripe at lower alcohol, and they age magnificently. The vines themselves grow more slowly, they struggle and naturally yield less fruit per hectare. For a vine it’s probably hell. For a winemaker, and wine drinkers, it’s much closer to heaven. 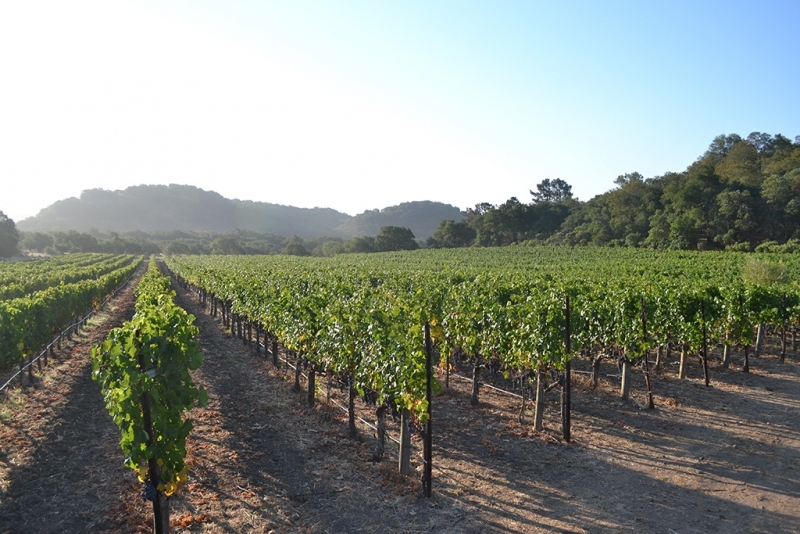 And some of the highest and most rugged Napa vineyards are planted in theAtlas Peak AVA, at up to over 2600 feet. Here, red-tinged basalt soils nurture less than a third of a per cent of total acreage in the Napa Valley. But reputation is disproportionate to size”. When one brings up the concept of terroir—a French wine term used to describe a wine’s "sense of place” — you realize the importance of these obscure vineyard soils when combined with an optimal growing climate. But, if any terroir is going to be interesting, it’s the nutrient-rich volcanic soil some wines come from—particularly the cabernets, which are complex, complicated, balanced, elegant, and much less tannic. Volcanic soils impart unbelievable mineral sensations that include volcanic crushed gravely lava rock, infusing complexity and depth to its wines. These wines are brilliantly expressive, pure and aromatic as a result of the different climatic rhythm, cleaner air, and natural nutrient content in the soil. These vines are healthier, fresher and happier. The mountains are more exposed to prevailing winds, adding more stress to the vines. Essentially, high-elevation volcanic vineyards benefit in several ways over valley floor vines. They receive more concentrated sunlight, greater temperature changes, and, far better drainage due to volcanic rocks porous nature creating natural stress to the vines as they struggle to develop greater pigment concentration. As a result, they produce fewer, but more intense aromas, flavors, colors and tannins. The grape’s elements evolve more slowly and age much more gracefully, and, sometimes Mother Nature allows us an incredibly memorable vintage rarity. Home to the most highly elevated and rocky volcanic mountainous landscape, Atlas Peak has been producing wines of renowned quality since 1870. Over the years, despite its rugged remoteness, the appellation has produced an abundance of intriguing volcanic wines acclaimed worldwide for their intense flavors and delicate, balanced tannins that have become the signature of Atlas Peak Mountain wines. Volcanic wines tend to be produced in small quantities from land that is extremely difficult and expensive to farm, hence the reason that many of Napa’s expensive “cult” wines are from high elevation volcanic lands. Igor Sill precision farms a volcanic mountain vineyard on Atlas Peak Mountain in Napa. He’s a passionate wine lover, winemaker, writer, Court of Master Sommeliers, attended UC Davis’ winemaking program, member of the Napa Valley Wine Technical Group, Judge for the International Wine Challenge, London; and holds his master’s from Oxford University. He thanks John Szabo, Michel Rolland and Spencer Christian for their much appreciated assistance, insights and contributions to this article. 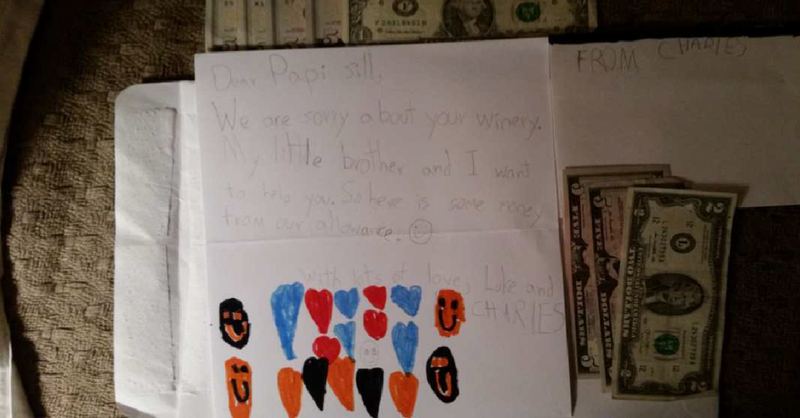 We, at Napa’s Atlas Peak Appellation are truly grateful to the heroic efforts of fire fighters and first responders from all over the country who helped protect our homes, winery and vineyards. The difficult job and the many days spent putting their lives on the line to protect all of us goes well beyond a simple “thank you”. While we have been through a heartbreaking event and witnessed so much loss, the outpouring of support from everyone has been amazing. Our community has truly come together in support of the devastation we've all suffered. In support of our community, please buy and enjoy Napa wines and continue buying them from all your favorite Napa wineries, online, in stores and in restaurants, this is one of the very best ways you'll help us restore our beautiful wine country! Thank you! When you believe that extraordinary vineyard soils are the absolute key to producing exceptionally balanced wines, you’ve found your true place in the world. For me, that “place” is on the mountain slopes of Napa’s wine growing region, where I contend some of the finest wines are produced. We are very excited for an upcoming event hosted by the Atlas Peak Appellation Association: the Taste of Atlas Peak! It will be hosted at Black Stallion Winery on Saturday, September 24th. Come enjoy wine, small bites, live music & silent auction. Purchase tickets here or call 707.251.5631.